Marshmallows are sweet, puffy, and delicious confections. They are very popular as both a treat and a recipe ingredient. According to the National Confectioners Association, 90 billion pounds of marshmallows are sold each year in the United States for a total cost of around 125 million dollars. Modern marshmallows are generally made from a mixture of sugar, corn syrup, salt, gelatin, water, and vanilla flavor. Food color is sometimes added as well. The mixture is heated to create a smooth consistency and then cooled to make the solid confection. Originally, the confection was made from the sap of the marshmallow plant. The sap contains a substance called mucilage and is said to have medicinal benefits. When mucilage is mixed with water it forms a gel. Candy was made by grinding the root of the marshmallow plant or by extracting the sap and then mixing the root or sap with honey. Americans buy 90 million pounds of marshmallows each year, about the same weight as 1,286 gray whales. Marshmallows have many culinary uses. Some people enjoy eating them right out of the package as they do with other candies. The decision to call marshmallows "candies" is somewhat controversial. Many people support the decision because the treats contain a lot of sugar. 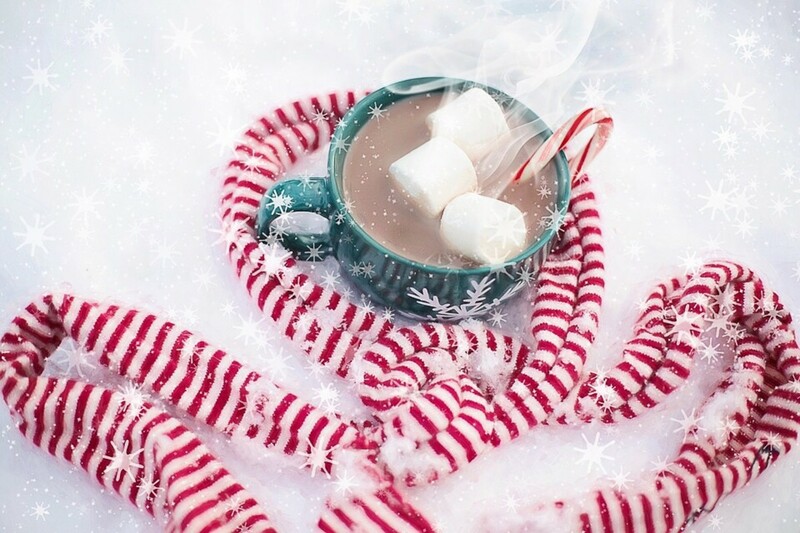 The candies make a tasty addition to hot chocolate or cocoa. Toasting them around a campfire or roasting them in an oven are popular activities. Melted marshmallow can be used as a cake frosting. Marshmallow is also used to make peeps. These are colored and sometimes specially flavored shapes that resemble cute animals such as chicks and bunnies. Peeps are often available at Easter but may be sold all year long. Some are made to suit other special occasions besides Easter. Snowmen may be available at Christmas, for example, and ghosts and pumpkins may be sold at Halloween. Marshmallows are often used in dessert and snack recipes. Hot, melted marshmallows form a gooey and sticky “glue” that holds ingredients together. This glue works very well in Rice Krispie treats and s'mores. Many people like to cover sweet potato casseroles with marshmallows. Marshmallow creme, which is sometimes sold as a brand known as “fluff”, is used in desserts and in fluffernutter (fluff and peanut butter) sandwiches. In the creme or fluff, the gelatin used to make marshmallows is replaced by egg white and the water is omitted. Some companies produce gourmet marshmallows. These have a wide variety of interesting and unusual flavors, such as pumpkin spice, banana, strawberry, coffee, chocolate, and gingerbread. They sometimes have toppings of crushed nuts or toasted coconut or they may be dipped in chocolate. Artisan marshmallows are usually fresher than regular store-bought versions and have a finer, melt-in-the-mouth texture. Vegan marshmallows are also available. Most versions of the treat are unsuitable for vegetarians and vegans because gelatin is obtained from boiled animal bones and skin. Instead of gelatin, vegan marshmallows generally contain carrageenan or agar, which are gums obtained from seaweeds. If you like to follow a healthy diet, marshmallows should be saved for special occasions. 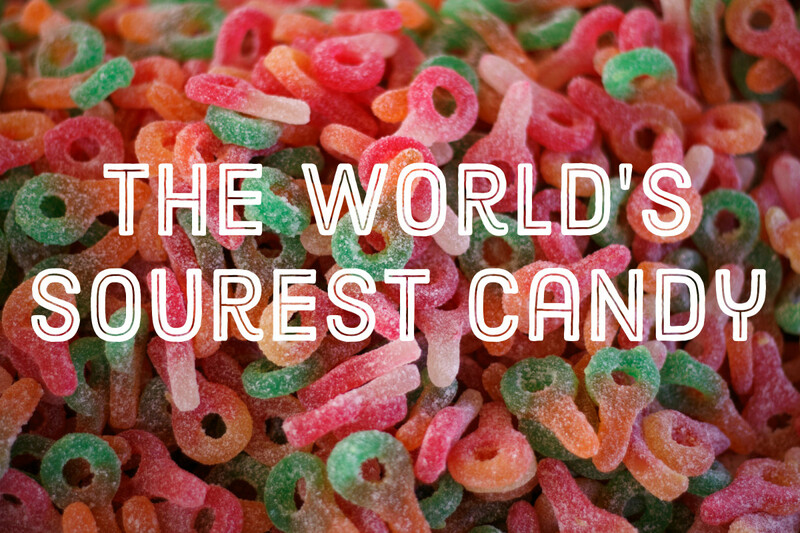 They contain a lot of sugar and sometimes a lot of fat, too. They're fun and delicious to eat as occasional treats, but if you're concerned about health you shouldn't eat them on a regular basis. There is a way to make marshmallows a bit healthier if you create your own. Instead of using white, refined table sugar or corn syrup as a sweetener, an alternate substance could be used in smaller quantities. Small amounts of unrefined brown sugar, dark honey, or stevia could be used to sweeten the marshmallows, for example. In 1927 the Girl Scout Handbook was the first documentation of the recipe combining marshmallows with chocolate and graham crackers. Making a s'more is easy. The treat got its name because many people—including me—want "some more" after eating one. It's fun to make s'mores around a campfire. Place a piece of chocolate on half a graham cracker. 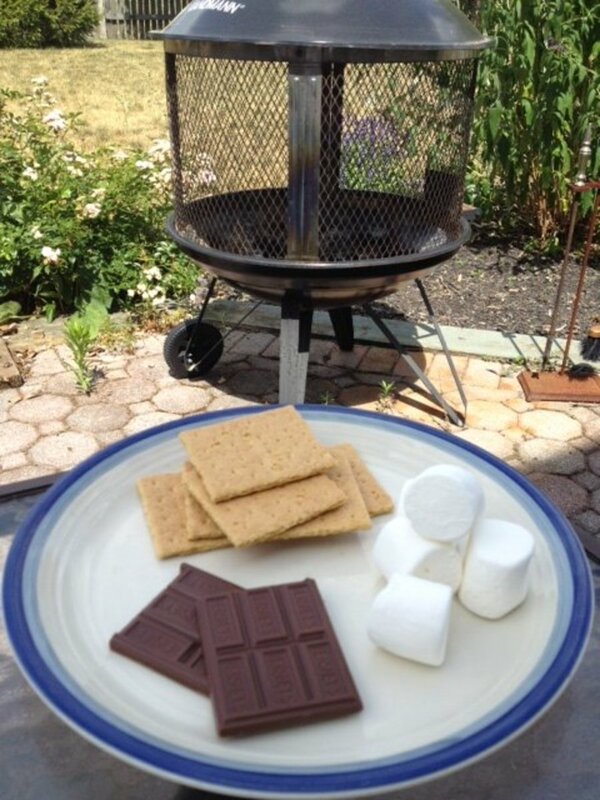 Place a freshly toasted marshmallow on top of the chocolate. Cover the marshmallow with the other half of the graham cracker. Wait a moment before eating. This allows the heat of the toasted marshmallow to melt the chocolate and creates a gooey and yummy treat. S'mores can also be made in a microwave. In this case, use an untoasted marshmallow. Place a piece of chocolate on half a graham cracker and a marshmallow on top of the chocolate. Microwave for ten to fifteen seconds or until the marshmallow puffs up. 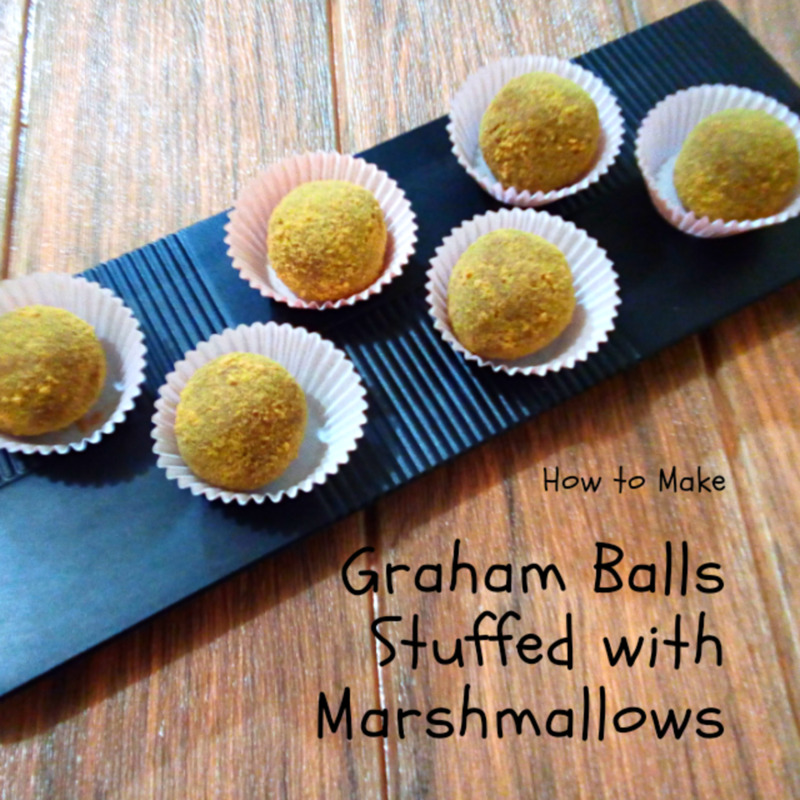 Remove from the oven and place the other half of the graham cracker on top of the marshmallow. Allow the sandwich to cool slightly before eating. The largest s’more ever made weighed 1,600 lbs and used 20,000 toasted marshmallows and 7,000 chocolate bars. The record was set on May 23, 2003. Rice Krispie treats or squares are also easy to make, though they require a bit more effort than s'mores. The squares are sweet, gooey, chewy, and delicious. 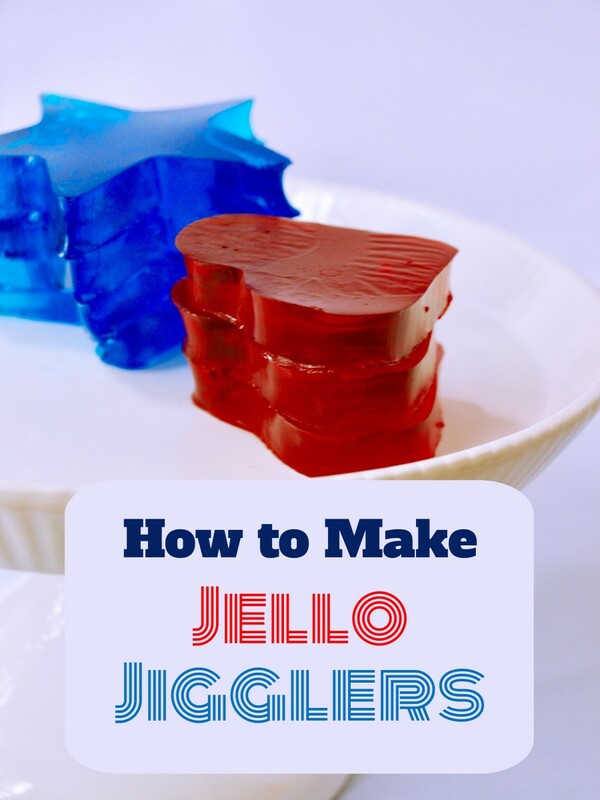 To make them, melt about 1/4 cup of butter or margarine in a saucepan. Add one package of regular-sized marshmallows (about 40 candies) and stir until melted. Remove the saucepan from the heat and stir in 6 cups of Rice Krispies. Place the mixture in a greased pan and cool, then cut into squares. More details about making the treats are shown in the video below. Which is your favorite marshmallow dessert from this list? I don't eat marshmallow desserts. 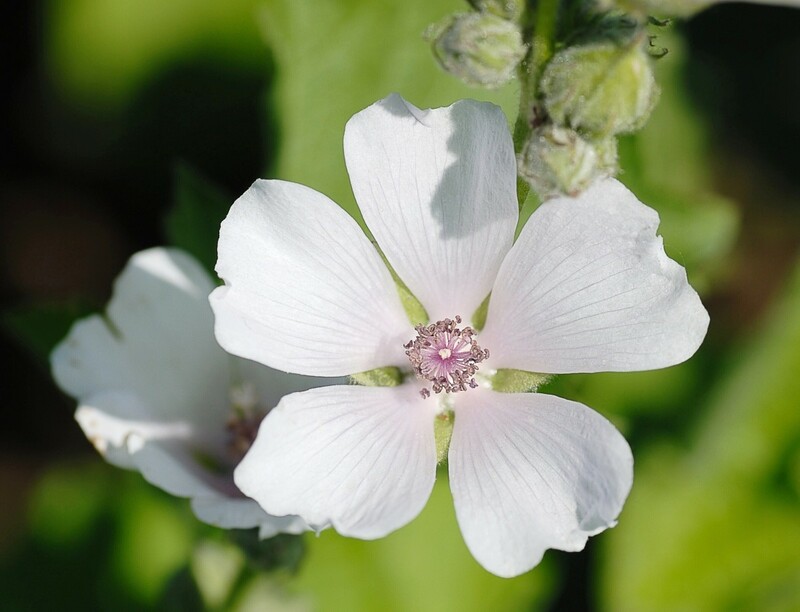 The scientific name of the common marshmallow (or marsh mallow) plant is Althaea officinalis. It's a flowering plant that is native to central and southern Europe, west Asia, and the northern part of Africa. The plant has been introduced to other parts of the world, including North America. 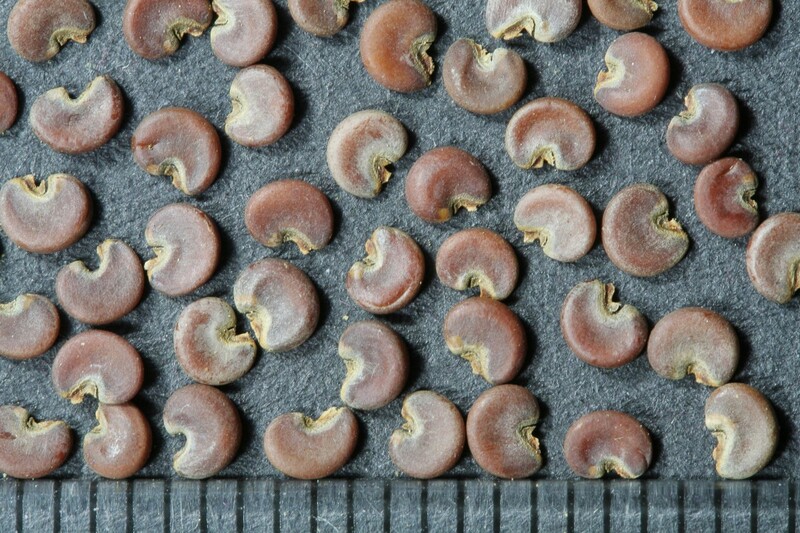 It usually grows near the sea and is often found in salty marshes. The flowers of the plant have five petals. They are often white in color but may be pale pink. The leaves are lobed and are covered with short, fine hairs on both their upper and lower surfaces. They have a velvety feel when touched. The marshmallow plant is edible, although sometimes the mucilage content can give an unpleasant texture to the plant. It’s important to distinguish marshmallows from other types of mallow (and from other plants in general) if you are considering eating them. It's also important to avoid plants that are growing in polluted areas or in places treated by pesticides. As always, foragers should avoid decimating an area of a plant species. The genus name of the plant—Althaea—comes from the Greek word althein, which means "to heal"'. Marshmallow has had a reputation as a healing plant since ancient times. The roots and the leaves are used medicinally. People who are under a physician's care or who are taking a medication should consult their doctor before using marshmallow medicinally. The marshmallow’s mucilaginous sap coats surfaces and mucous membranes in living things. It’s traditionally been used as an emollient to relieve skin inflammation and as a medicine to soothe sore throats, dry coughs, and an irritated stomach or intestinal lining. Even today some people say that marshmallow helps them, although more scientific evidence is needed before researchers agree that the plant is beneficial medicinally. When used internally as a medicine and taken in normal doses, marshmallow is classified as "likely safe" by the WebMD website. The site says that a few precautions are necessary, however. There is some evidence that marshmallow may lower blood sugar, which could be a problem for diabetics. The plant interacts with certain medications. It may increase the amount of lithium in the body, so people taking a lithium medication need to consult their doctor before taking marshmallow. There is also a concern that the mucilage could interfere with the absorption of other medicines. It shouldn’t be taken at the same time as these medications. In Ancient Egypt, members of the royal family are thought to have eaten marshmallow sap or roots mixed with honey and nuts. In the nineteenth century, French doctors mixed the sap with sugar and egg whites and cooked the mixture. This process created a sweet medicine for sore throats that more closely resembled our modern confections than the Ancient Egyptian creation. Eventually marshmallow sap was replaced with gelatin, removing any possible medicinal properties from the confection. The “marshmallow” name was retained, however. 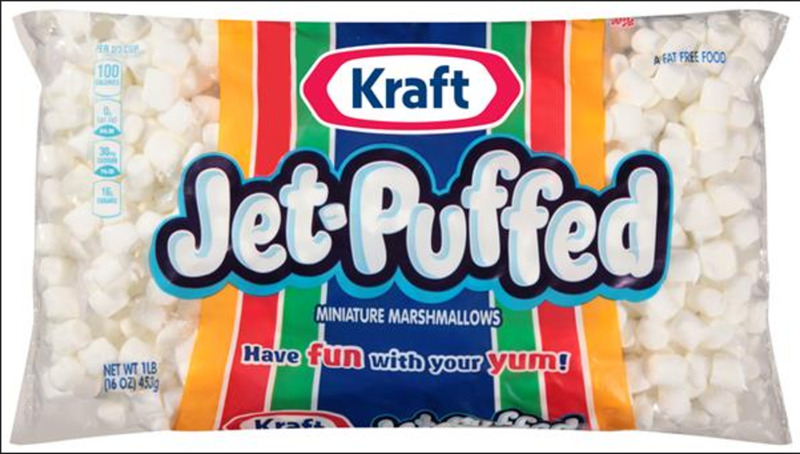 Air is whipped into modern marshmallows to increase the fluffy texture. Today marshmallows are very popular treats and recipe ingredients. They are a fun snack and a tasty and useful addition to desserts. I suspect that people’s interest in the treat will continue for a long time to come. Hi, Joe. Gourmet marshmallows look very tempting! There are lots of online retailers for special marshmallows now, and some of the companies have very interesting creations for sale. We got some gourmet marshmallows for Christmas this year from Marshmallow Heaven (www.marshmallowheaven.com) and they were delicious. Thanks, truthfornow. 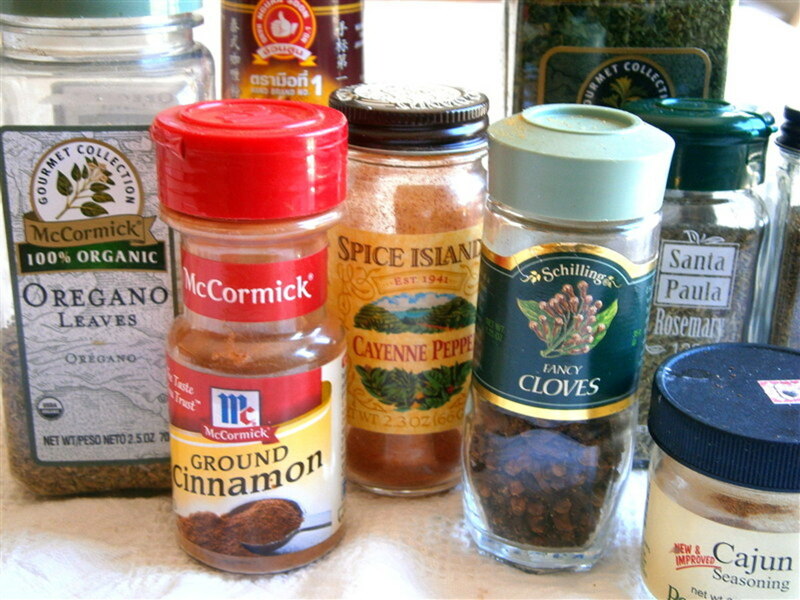 I enjoy learning about the herbal origins of foods and medicines - it's a very interesting topic. Marshmallows are yummy. Thanks for all this useful information. I had never read about the marshmallow plant before and its useful purposes. Thank you so much for the comment and the congratulations, prairieprincess. I was very excited to see that a podcast has been created based on this hub! Wow, Alicia, this is fascinating! I have always wondered where marshmallows come from and now I know. Thank you for a wonderful hub and congratulations on the podcast! Thank you, writingfrosh! 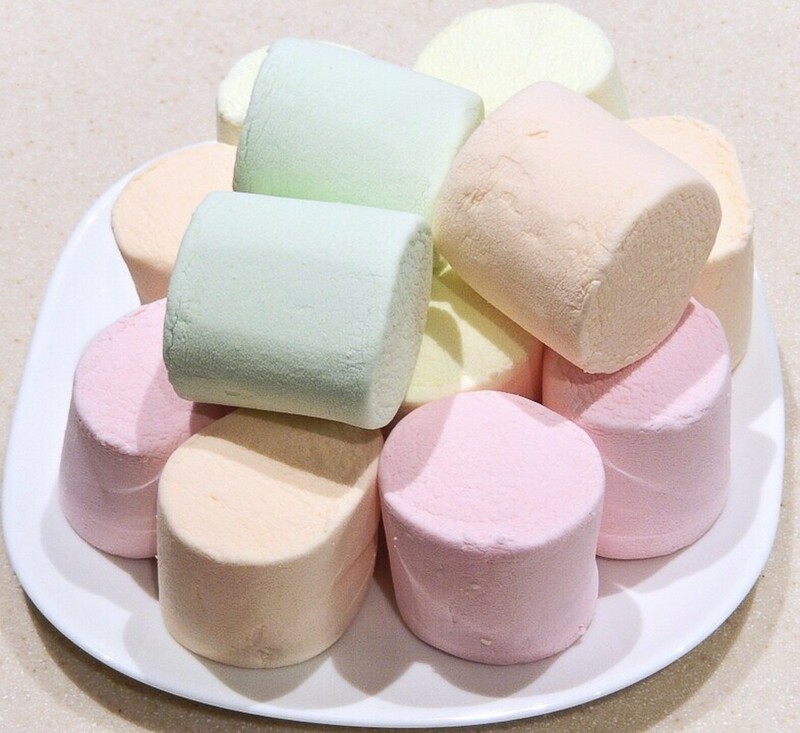 I like the idea of making my own marshmallows because I can control their ingredients and create new recipes. Thank you very much for the visit and the comment, Simone. Toasted marshmallows certainly are a fun food to eat around a campfire! I found this to be very fascinating indeed! I wonder when marshmallows first became a classic American treat. They're so engrained in campfire culture, too! I wonder who was the first to toast marshmallows over a fire. Thank you so much for the votes and the lovely comment, Prasetio! It is interesting to think that the early marshmallow candies may have had medicinal benefits. This was nice information. I learn much from you about marshmallows. I don't know that this plant has a lot of benefits. I really love all the videos above. You present this hub very well. I'll press all buttons here, expect funny. TOP Rated up! Hi, CMHypno. 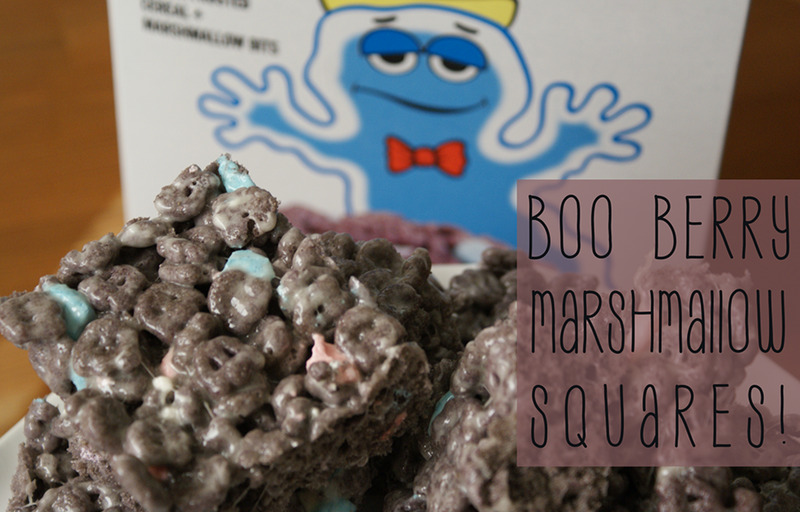 Yes, marshmallows and marshmallow treats are delicious! Thanks for the comment. Thanks for commenting, MM. I like marshmallows too! They're great for special celebrations or in special treats. Thank you, mary615. I'll try making a sweet potato casserole with marshmallows very soon! Thank you very much for the comment and vote, drbj! It was fun to write about marshmallows and discover some interesting facts about them. Hi AliciaC, you just get canned sweet potatoes, drain them, smash them, mix a little brown sugar, You don't want it too sweet. Pour into a casserold dish, and top with big marshmellows. Bake until the marshmellows are nice and brown. Good luck! Alicia - with this delicious, in more ways than one, hub you have successfully elevated the pedestrian marshmallow to a place of honor on the throne of sweet treats. The marshmallow, if it could, thanks you ... and so do I. Voted up, m'dear. Hi, mary615. I've actually never tasted sweet potato casserole topped with marshmallows. It's never been a traditional part of my family's thanksgiving celebrations, and in fact I only heard about it recently. I'm going to try it on a small scale - I'll bake one sweet potato with some small marshmallows. I've read that the flavor combination is delicious! Thanks for commenting. This was an education on Marshmellows, I learned a lot. Our favorite dish for holidays is the Sweet Potato Casserole with marshmellows on the top. Thanks for this. Thanks, gryphin423. I prefer to eat marshmallows in desserts instead of eating them on their own - but I do love the desserts! That's a mind-boggling thought, Topnewhottoys! People in the U.S. certainly love marshmallows, and I expect it's the same in many other countries too! Thank you for the comment. Hi Alicia! I enjoyed your hub, I love marshmallows, especially fluff. Thanks for sharing! I wonder how big a pile 90 million pounds of marshmallows would make? Caramel marshmallows sound delicious, Donna! I'll have to look out for these in my local stores. Thanks for the comment. Interesting information! We used caramel marshmallows on our Smores last time we made them and everyone loved them...even more than usual.